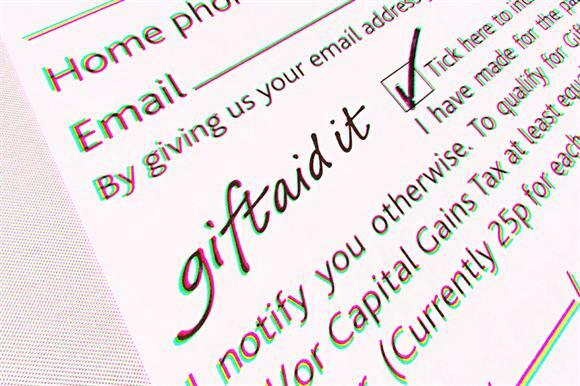 The total amount of Gift Aid paid to charities in 2014/15 rose by £140m on the previous year, according to provisional figures from HM Revenue & Customs. The data, published today, shows that the amount of Gift Aid paid to charities totalled £1.19bn in 2014/15, compared with £1.05bn in the previous year. The figures show that the annual amount of Gift Aid paid to charities has increased by £230m since the end of the 2010/11 tax year. This was when the government ended the transitional relief that charities were being paid to make up for the effects of the reduction in the basic rate of income tax from 22 per cent to 20 per cent in April 2008. A commentary on the figures, also published by HMRC today, says that because it does not receive information on donations that do not have "tax consequences" it is not possible to determine the behaviour of overall donations from individuals on the basis of this data. The commentary shows that tax reliefs for charities from all sources totalled about £3.4bn in 2014/15, up from about £3.2bn in the previous year. The largest tax relief for charities was business rate relief, which was worth £1.69bn in 2014/15, the report says. It says that higher-rate relief, which individuals who pay higher-rate tax can claim back on their donations, was worth £480m in 2014/15, an increase of £40m on the previous year. "Higher-rate relief to donors has historically grown at a faster rate than the tax repayments (on donations) which are paid to charities," it says. "This may indicate a higher proportion of charitable giving being due to higher-income individuals, or to higher and additional-rate donors claiming the relief more consistently, or an increased use of charitable giving to aid tax planning."